Time to go shopping ............ what better way than with your own shopping trolley. The green market shopping trolley comes with your own purse too. 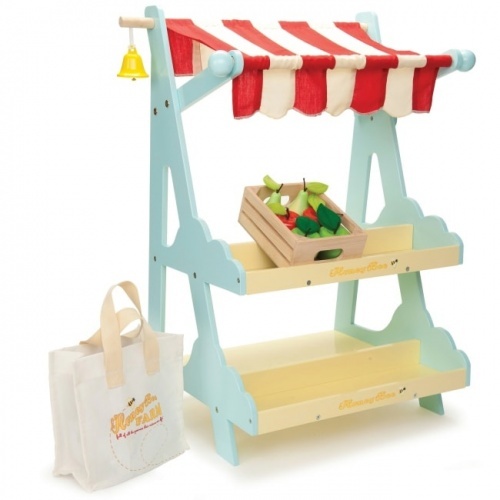 A great addition to the market stall by Janod or just to fill with your toys to take around with you. The perfect toy for role play development.